The current Mercedes CLS has been on the market since 2004 and is due for a facelift. 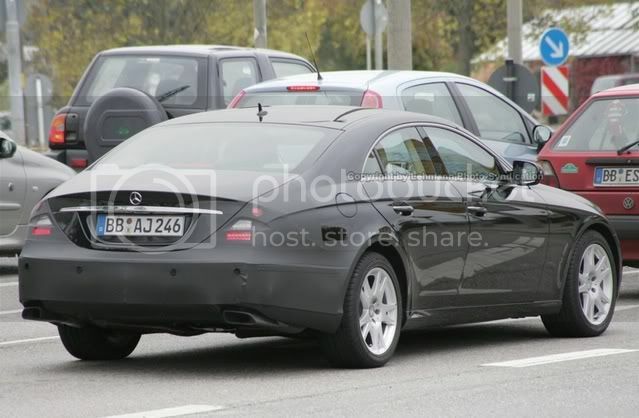 Earlier on today, our spy photographers caught a glimpse of the redesigned four door coupe on the streets of Stuttgart, Germany. The new front grille is clearly visible through the black paint and shows us two chrome bars similar to the current model which had 4 chrome bars. The rear end seems to be receiving new taillights and a new bumper but more on that when some of the covers are shed. The exhaust tips receive a minor styling change too with a less oval shape and more rectangular. 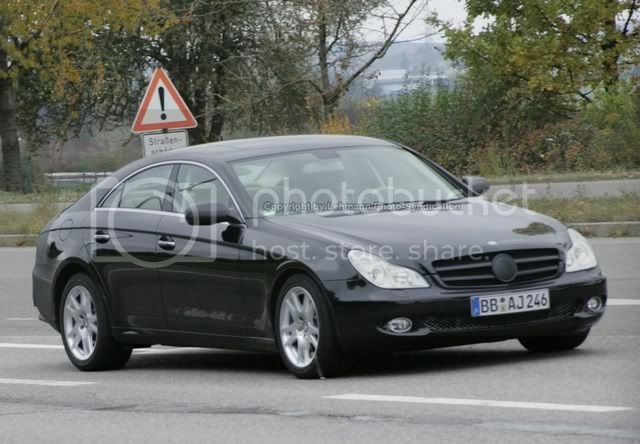 The facelifted CLS will be marketed as a 2008 model year. The biggest CLS market is the U.S accounting for 40% of the overall sales followed by Australia which accounts for 20% along with Germany. The best selling CLS model in Australia was the CLS 350 follwed by CLS500 then CLS 55 AMG.